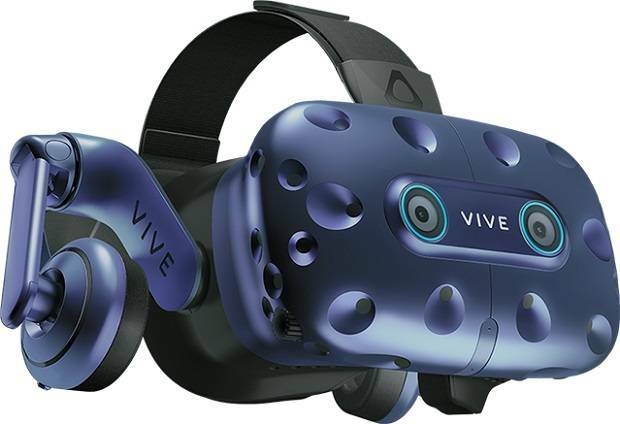 HTC is already the lead dog in the VR world, and it continued its effort to separate from the pack by announcing two new headsets at CES 2019. One delivers eye tracking, and the other is an untethered device with inside-out tracking. This headset is essentially the same as the HTC Vive Pro that’s already on the market, but with the secret sauce of Tobii eye tracking. Eye tracking has long been one of the holy grails for VR headsets, and Tobii is an ideal partner for HTC: Last year at CES, Tobii’s VR HMD eye-tracking demo was possibly the best of its kind we’ve ever seen. Eye tracking has a couple benefits that can dramatically improve VR experiences. First is that this allows for foveated rendering, which is a technique that delivers the highest graphical details only where your eye is focused. This follows how your eyes actually work: You can see fine details only front and center of what you’re looking at; the further out you get in your peripheral vision, the less detail you perceive. Applied to a VR context, then, if an image is fully and completely rendered, precious GPU resources are wasted because you literally can’t see most of those details at any given time. But if your eyes are being tracked, the system knows where the detail needs to be highest at all time, and it intelligently and dynamically adapts. It’s a simple but effective way to reduce graphical demands in VR, made possible by eye tracking. Eye tracking can also be applied to menu navigation and more natural gaming. HTC suggests, for example, that eye tracking could be used to automate shooting, so that you merely look at your enemies without having to target them with a controller. Whether that’s any fun or not will be seen, but simply looking at things to win doesn’t sound like much of a “game.” Menu selection, done by looking at the item you want to choose, is a perfectly plausible application for the technology. The “Pro” in the name really does mean “professional,” because this new headset isn’t designed for gaming. This piece of kit is for the workers of the world, and it’s used for actions like selling cars through virtual experiences, training employees, and more. At this point, HTC says that the enterprise and professional market is a “healthy place for us to go,” so more of this kind of partnership is likely. 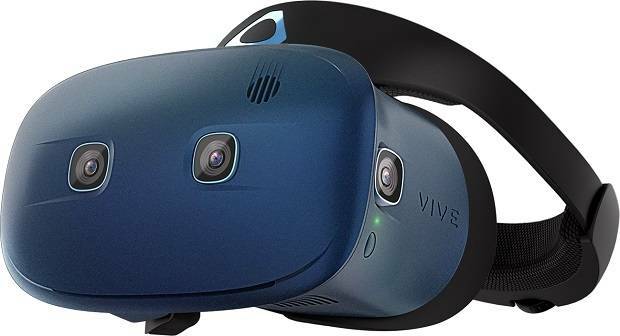 We don’t yet know how much the Vive Pro Eye will cost, but given that the earlier Vive Pro currently retails for $799, we expect it to be more than that. The other new device in the Vive world is the Cosmos, an untethered headset that also boasts inside-out tracking. That means it’s a complete system unto itself and doesn’t need to be, well, tethered to a PC to operate, and it doesn’t need external trackers to know its location and angle in an environment. It can, though, track the two Vive controllers you hold in your hands. The Vive Cosmos is also apparently designed with comfort first and foremost, with breathable fabric around the crown of the headset and an effort to achieve optimal weight distribution. You can flip up the front of the Vive Cosmos if you need to quickly look down at something in the real world.